You are here: Home / Blog / SEO / Do Links In IFrame Pass Link Juice? Do Links In IFrame Pass Link Juice? If you have ever thought about using iFrame for your navigation links then think again. Don’t do it even though it will probably save you a lot of development time, especially if you have multiple sites that you want to link them together. Let me show you why trying to be lazy could cause your site to lose a lot of SEO authorities among your pages. First, let’s talk about what iFame is. It is a very popular method to distribute content such as video (youtube) and widgets (Like box for Facebook). As you can imagine, it gives the author of the content a perfect control of the content being shared. The author can change the content without the need to modify the iFrame code places by webmasters. Since it can be shared so easily, iFrame is a perfect link bait system. In fact, many SEO professional have thought about using it for that purpose. However, whether the links shared via iFrame could actually pass any link juice is debatable. In fact, some SEO recommend placing the link outside the iFrame as part of the HTML code to ensure the link will pass link juice. The downside to this approach is a webmaster can easily remove / modify the link easily. Some tests have been done to see whether the links within iFrame are followed by Google (article 1, article 2). However no body seems to know how much link juice is actually passed. In fact some people say there isn’t any link juice passed by using iFrame (article 1, article 2). 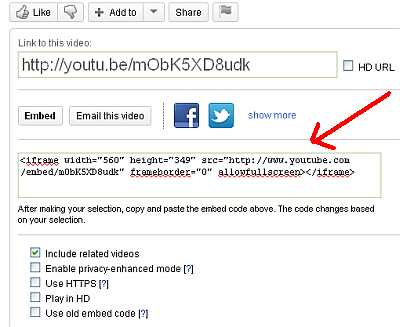 (underline message = don’t even bother trying to use iFrame for building links, because Google knows it). How is this relevant to using iFrame for navigation? The fact that nobody really knows how much link juice is getting passed through iFrame links is a big concern. Inner linking between pages is important as this will allow link juice to be passed from one page to the other and boost the overall site authority. Thus if you are using iFrame for navigation links, it will prevent link juice from flowing through your site. iFrame makes it easy to share content and allows the content creator easily updating the content without the need to updated the code. On the other hand, since it is unlikely that the links within iFrame pass link juice, it is a good idea to avoid using iFrame for creating navigation on a site. https://digitalreadymarketing.com/wp-content/uploads/2014/05/iframe.jpg 360 480 Tony https://digitalreadymarketing.com/wp-content/uploads/2015/11/drm-paypal1.png Tony2014-05-27 07:54:262014-10-14 17:23:55Do Links In iFrame Pass Link Juice?